Attention all Mahjong Time players: The downloadable version of Mahjong Time EON has been released! Mahjong Time EON is a complete overhaul of the visual Mahjong Time experience, built from the ground up to provide Mahjong Time players with the most realistic Mahjong gameplay! The EON in-game graphics are modeled entirely in 3D, with crisp animations guiding redesigned tiles around the game’s centerpiece; a gorgeous automatic-style Mahjong table. The immersive graphics and gameplay are showcased by a free-floating 3D camera, capable of viewing the action from any angle. Mahjong Time EON isn’t just stylish, it’s also functional. In true automatic table style, the module in the middle of the table provides at-glance information on the number of tiles left, seating arrangements, and designates the current active player. 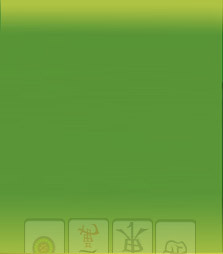 Riichi Mahjong has also received its own set of features in EON. On top of the already optimized interface, Riichi players will now have intuitive access to Riichi-specific information such as five counters, Dora indicator, and Riichi bets. Despite the tremendous graphics and animations, EON will actually run faster and smoother on a broader range of computers by harnessing video processing capabilities. This lowers system requirements and makes the game more efficient on any computer. Ready to jump in? Setup is quick and easy. Click here to get EON and begin your brand new Mahjong Time experience! Check out the video for a virtual tour.